Maggie Strachan, Joan Martin and Lara Mellon( Durban based artists) initially met with personal items from which they would share and embark on a new journey. Interestingly Strachan could not recall exactly the items and it was insignificant because, despite the “stolen” objects and techniques, shared amongst the three, the work is profoundly self absorbed and unique to each individual. One notices her feet atop his eyes. He can only be consumed by her, focused on her. The two figures resemble a rocket about to launch it s landing gear. An intimate moment is captured, the little girl carries a freshness of youth full of promise and good things to come. 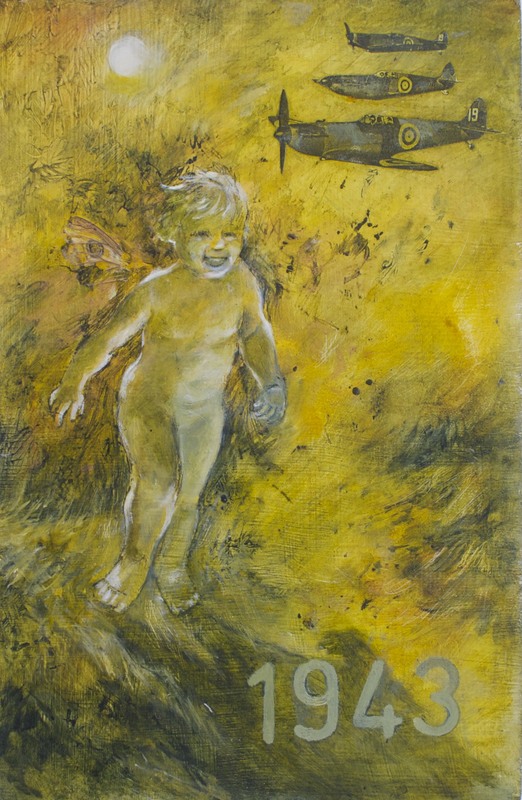 In this body of work, Maggie Strachan, re visits her past. Her journalling through the process of painting enables her to discover new truths about her past. She begins with her childhood photographs. In her discovery of that child she sees with new eyes and finds a happy child . This enlightens her and brings about much healing and restoration as her original impression of childhood for the best of her seventy two years seemed to her to be an unhappy one. 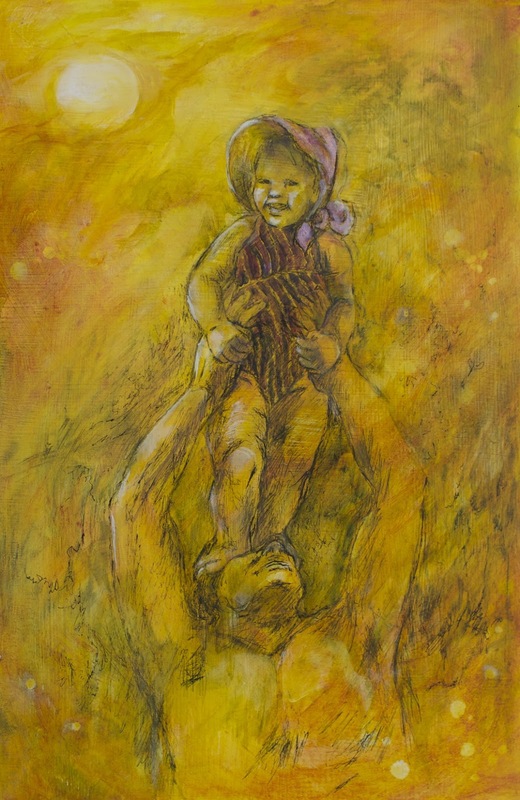 These earlier works carry the energy of traditional gesture drawing and the technique is left more to chance than compared to her investigation of old photographs containing her own mother a little later on. This entry was posted in Uncategorized and tagged artists, exhibition. Bookmark the permalink. Post a comment or leave a trackback: Trackback URL.